According to Harvard Medical School, “The human body can defend itself very well against most environmental insults and the effects of occasional indulgence.” Still, there are uncounted numbers of websites, books and magazines devoted to the idea that we can, and should, detox the body. While there is no scientific evidence to support the claims made by the people who sell foot detox pads and ionic foot detox baths, there have also been no reports that they are harmful. No foot detox method will flush toxins from your feet, but soaking them is a simple, harmless way to relieve stress. Wash your feet with mild soap and warm water before doing any kind of foot detox. 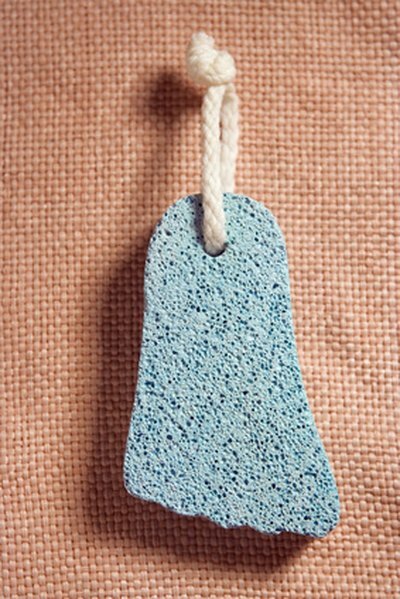 Use a loofah, net scrubber or fine pumice stone to remove any dead skin cells and soften calluses before soaking your feet. Fill a clean basin with warm water. 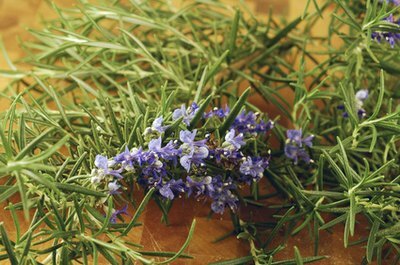 Roll a tablespoon of fresh rosemary between your palms to bring out the scent, and then sprinkle it into the water. Add lavender and mint for an extra boost of fragrance. Soak your feet in the herb-infused water for 30 minutes. Repeat once or twice per week. Apply foot detox pads to the bottom of your feet at bedtime. Check the manufacturer’s instructions for where to place them, as some go on the soles of your feet from toes to heel, and others are supposed to work better if applied across the arches. Remove them in the morning, and then put on fresh ones every night for the next 30 nights. According to the Mayo Clinic, Harvard Medical School and other experts, the change in color you may see in the morning is simply your sweat reacting to the wood vinegar most detox foot pads are infused with, not evidence of toxins that have been flushed out of the body. Turn on your ionic foot bath machine and sprinkle in the salts included with the kit. Soak your feet for 30 minutes and then compare the color of the water with the chart that the manufacturer provided. This is supposed to show you what toxins have been flushed out through your feet, but impartial observers like the ones at spaindex.com report that the water will change color even if no one puts their feet in it. The experts at devicewatch.org proved that the change in color is a reaction between the metal array and the salts, but if the color change inspires you to adopt a more healthy lifestyle, then you have made a positive change. Massage a scented moisturizer or foot cream into your feet after soaking them—or better yet, get someone else to do it for you. Never walk away from an ionic foot bath without turning it off first.